Designed to make the best tire on the market even better. The GP 5000 is an upgrade over the go-to GP 4000S II for road racers. 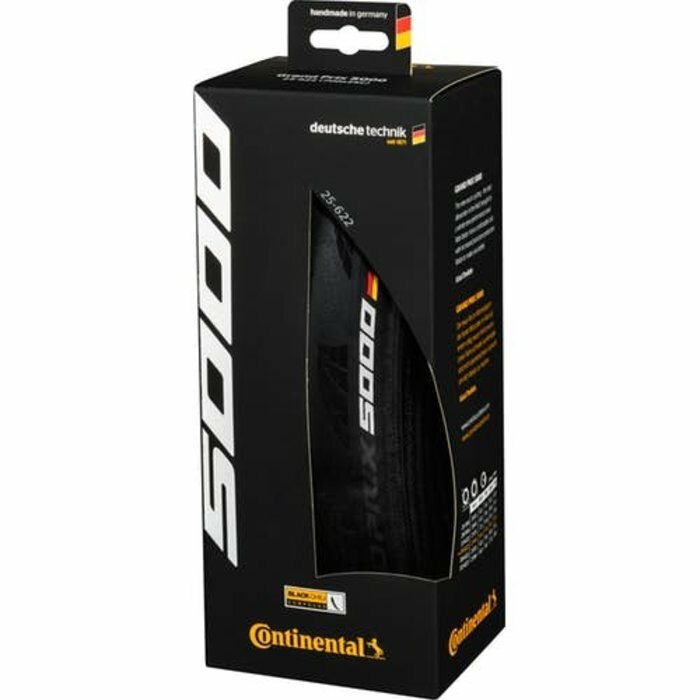 Lower rolling resistance, improved grip in wet conditions and better puncture protection take it to a whole new level of performance. BlackChili rubber compound provides excellent grip, speed and durability. 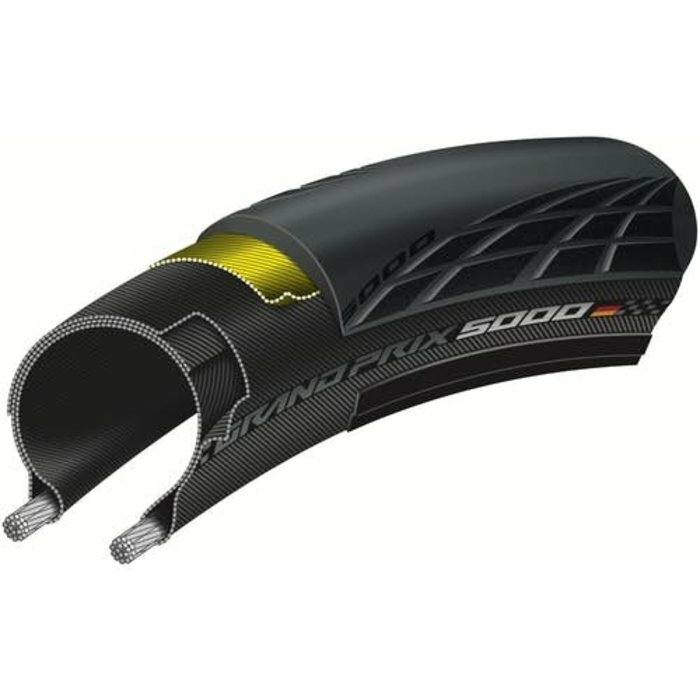 Lazer Grip textured profile increases grip when cornering. 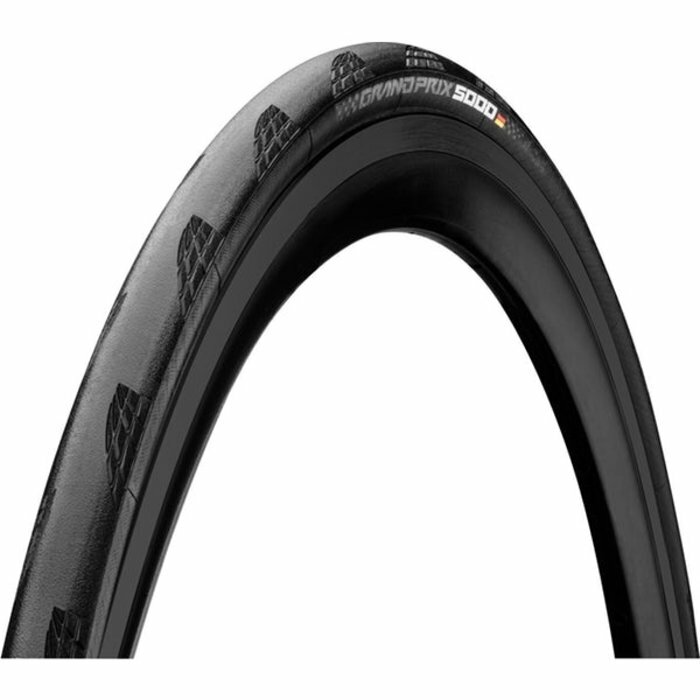 Vectran breaker provides great puncture and tear protection at a low weight. Supple 3-ply, 330 TPI casing provides great comfort and grip.